Hi guys! 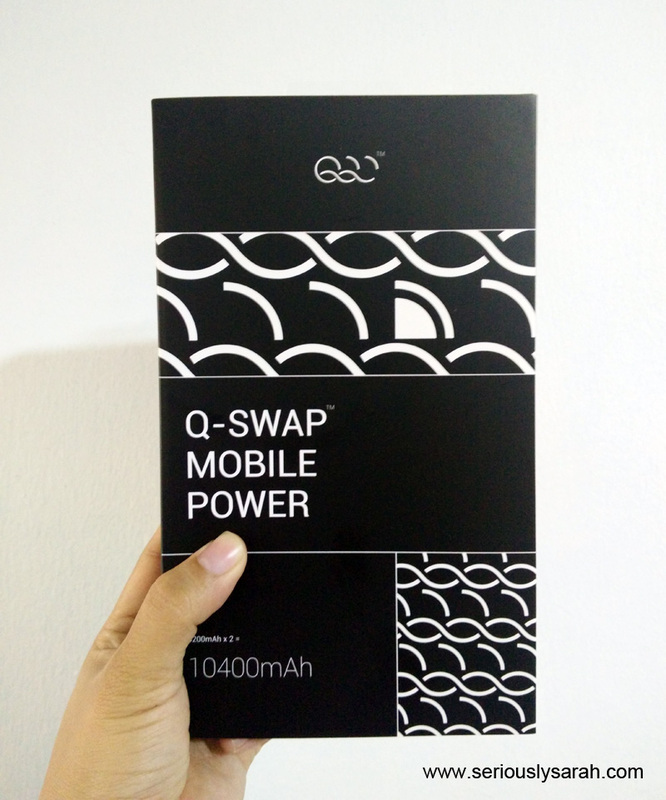 I got myself a Q-Swap Mobile Power bank to review. You can get it on Amazon here, click to buy if you want to try it out too. Anyway, it comes like this in the kit! And the best thing is that it’s already charged for you so you can use it out of the box. 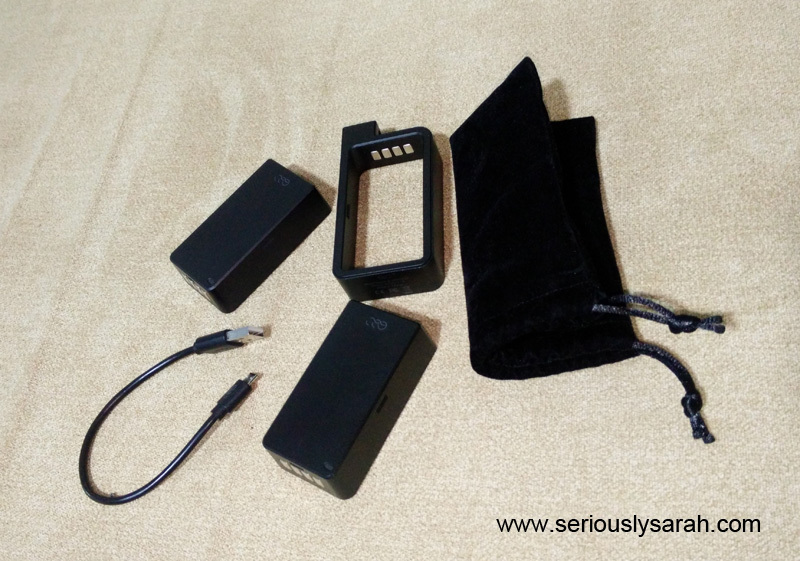 What it comes with is a short usb cable with a micro usb (useful cause I’m using an android phone, just switch that if you’re using iphone), a little pouch, the housing (Q-booster) and 2 pieces of 5200mAh batteries (Q-cell). This is the Q-Booster. So you plug into that usb port and then when you’re charging you can just swap and click the q-cells. Tap on it and you can see how much charge your q-cells have. Green means it’s full, Orange when it’s nearish 5-40% and red is when it’s already 0-5% charge. I pretty much went about outdoors and everywhere with this to see what’s the difference of it compared to other powerbanks. 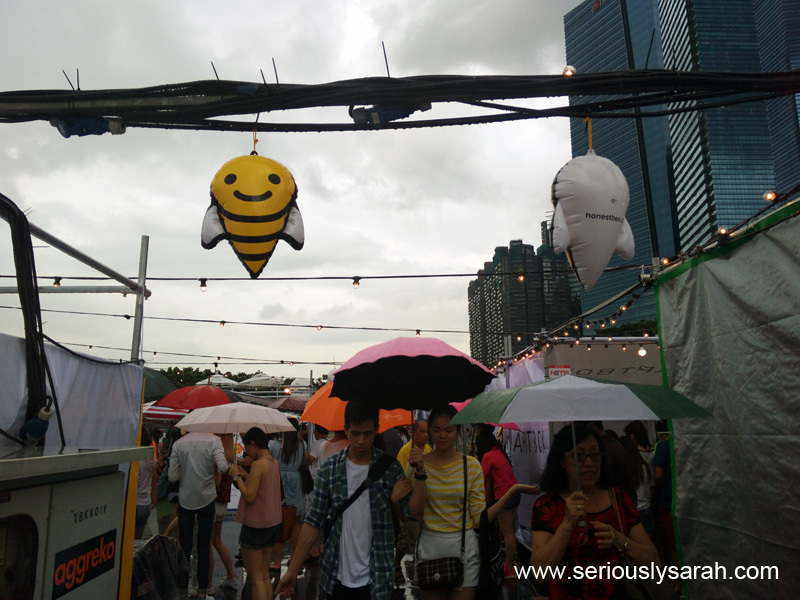 So I held it while holding onto my phone at the same time while trying to go through the crush of Artbox Singapore. 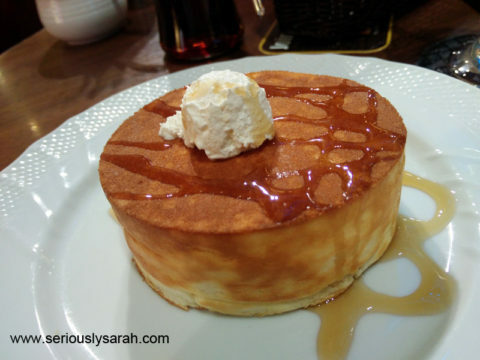 It’s discreet enough not to take up so much space and while it’s not ‘marketed’ to be used as a prop for my phone, I managed to lean my phone on it on the table while eating stuff and charge it. Swiping on my phone screen now and then since I could. And it’s light enough for me to just bring about in my bag. Which is a sling bag of sorts, I could put one of the q-cells in another pouch in my sling bag so it was pretty convenient since that bag has small compartments. 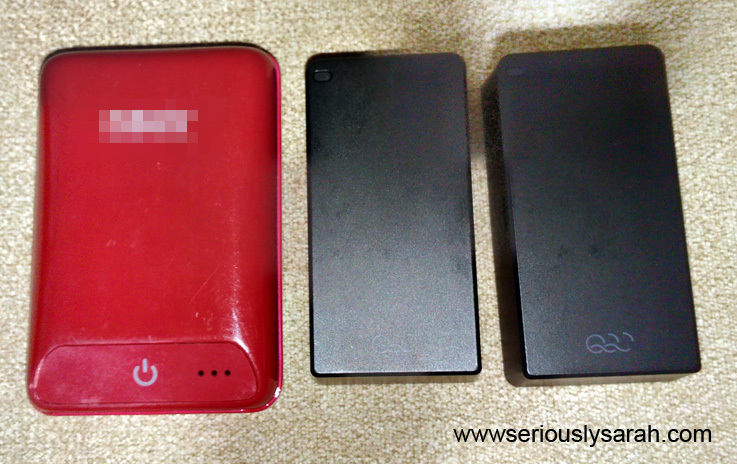 It’s smaller than my other powerbanks though my other powerbank is 10400mAh, charging it takes time and uh, I wouldn’t be able to use THAT if I was charging it. Q-swap actually lets me charge one while using the other. ALSO, THIS IS EVIL BUT NO ONE ELSE CAN BORROW YOUR Q-SWAP. BWUAHAHHA. They can’t use it if they don’t have the Q-booster and you can go “Oh… nah, you can’t I’m using my powerbank right now and this one is just to charge” while gesturing to your q-cell. 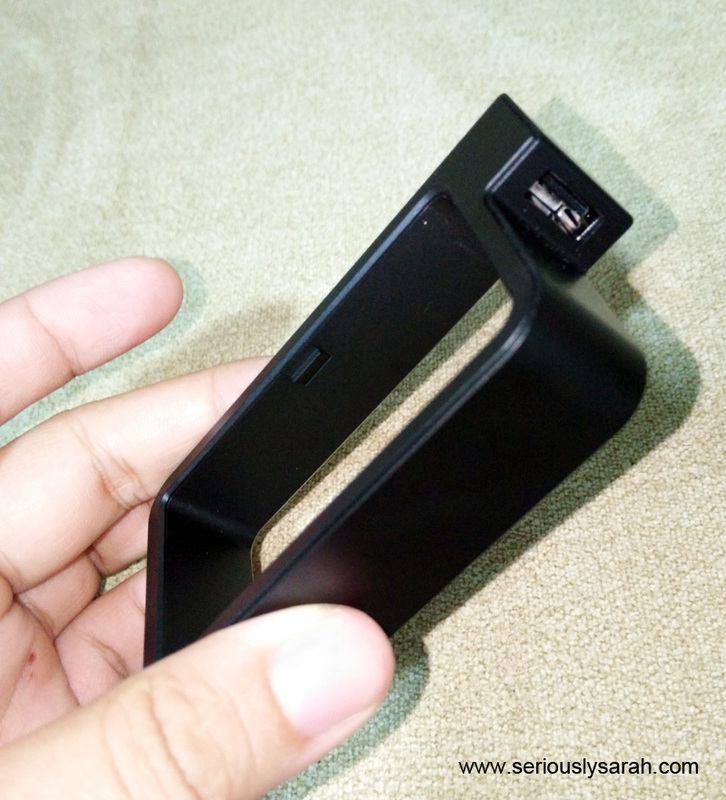 They can’t use the q-cell without the housing because the only port available is to charge it. Meanwhile, with the new rules on airplanes and such, this is totally legal to bring on board. 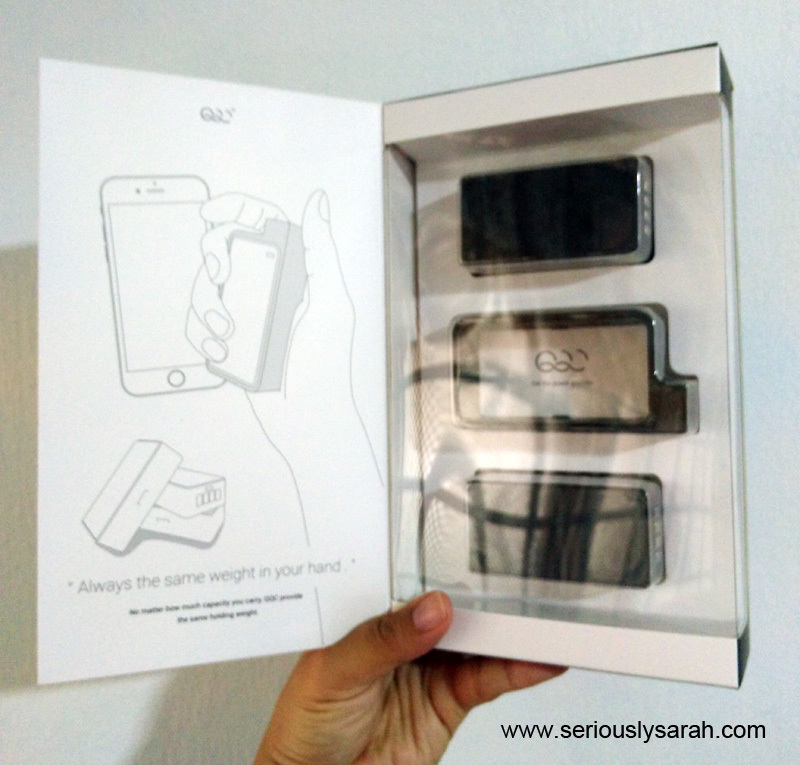 Yes, if you’re on flights, you’ll know about the new ruling on powerbanks, some phones and whatnot but with the q-cells being 5200mAh each, you can just safely bring it with you on travels. The ‘downside’ is that at this moment in time you can’t buy individual q-cells. But two q-cells actually can last me a whole day so maybe I don’t really need another one unless I need one replaced or if I lost one of them. 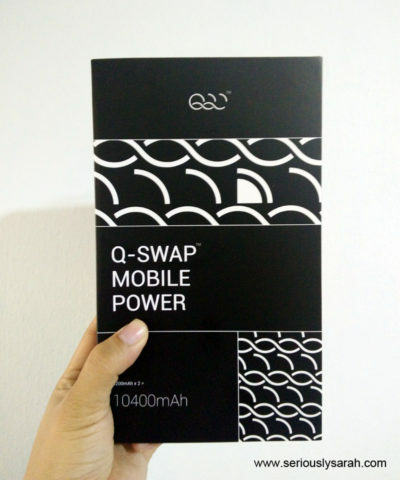 Get your Q-Swap mobile power here, for now it’s just on Amazon.